San Francisco can be defined in many ways, but my favorite one says: "This place is like a brain calibrator. You come here and you soon change your definition of what is possible. You soon realize that it's usually much more than you've ever imagined." I couldn't agree more. From technology, to spirituality, to arts, to health - you find everything in San Francisco. And when you are there, you just never know what you're going to get. But I can guarantee that if you step out you will get something. And if you believe that experience is the real way to learn or understand entrepreneurship, than SF is the ultimate classroom. It is an intellectually and emotionally transformative experience in a way that no college or university could mimic. You can find the perfect blend of learning, hard work, partying, and perspective-shaping. Over the past 2 weeks I've experienced this city in at least 2 ways: on my own and through other people's stories. In a city where so many people are actually making things happen, you just start to learn things through osmosis. It feels like you are just chatting over coffee or drinking beers with your new friends, but you later realize that by doing that you ended up learning some pretty badass lessons. If there's something magical about San Francisco, it's the people. They want to live out their dreams there. Whether it's music, romance, business, adventure or food, people have that place as a vehicle for their dreams to come true. And it has been that ambition in those people that have inspired me so much over my time there. The beauty of San Francisco is, in part, the absurdity itself. The amount of things happening in the "tiny" 600 km2 city is indeed a reality-chock. In a simple 20 minutes bike ride across the golden gate park you can find anything from quiet people reading, to the hippies music circles, families playing sports and an electronic rave during the day. In a co-living/co-working space, people are making arts and space rockets over the same floor. They want to build a better world. And mean it. And do it. Sure, they might fail, and they probably will. But they will see others succeeding around them. They will support each other. They will dream together, drink together and make stuff happen together like I haven't seen anywhere else. Collaborating across differences - the ecosystem absorbs itself. And that is how things work in San Francisco. It's for sure not a perfect place - it's expensive, it has an old structure, and many parts of the system here doesn't work. But it's moving. And seeing this highly-sophisticated movement happen is a privilege, and it’s something I'll never forget after experiencing it. I feel extremely privileged for being among the people I met in San Francisco and I can't wait to be back and see why we will all be creating by then. Nathalia Scherer is a proud Brazilian who loves spontaneous acts of kindness, laughs and jam sessions. She is both a Dalai Lama Fellow & Byron Fellow and currently works bringing voice to youth globally at International Connector. Nathalia is also a Your Big Year Champion and is involved in the design and implementation of this year's program. 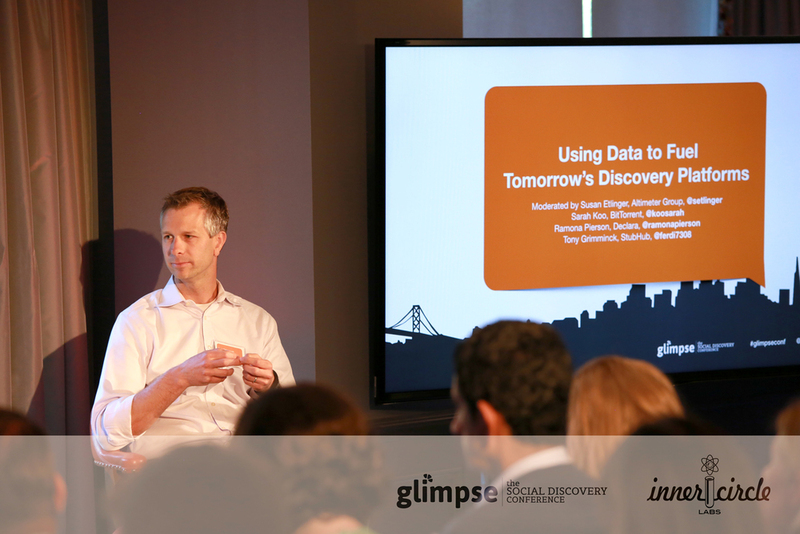 In June, I was featured on the panel on Using Data to Fuel Tomorrow’s Discovery Platforms at the recent Glimpse conference at The Battery in San Francisco. I was joined on the panel by Sarah Koo, Chief Scientist, BitTorrent; Ramona Pierson, Co-founder & CEO of Declara and Stew Langille, co-founder & CEO of Vusual.ly. Prior to the panel I was concerned that each of the panelists had very different business models and approaches and how we would find common ground, or at least a challenging discussion. What became quickly apparent was how through data collection and analysis we were all tailoring our approaches. Declara was a great example - founded in 2012, Declara builds a technology platform that uses machine learning, search, algorithms and recommendations to develop specific learning paths for individuals, making learning a constant discovery. I was struck that these new ways of learning and approaching people as individuals was one of the great benefits of data and thus personalization. The ability to customize an experience for you personally based on the data that can be collected on you and on other people like you. Of course it’s a bit creepy…unless it provides some tangible benefit. Glimpse is a social discovery conference focused on the future of social discovery. Throughout the afternoon companies such as Facebook, Twitter, Pinterest, Rdio, Tumblr discussed how social discovery is powering their respective businesses and how they see the future unfolding.